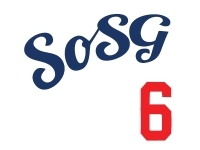 Sons of Steve Garvey: Dodgers Considering Matt Garza? 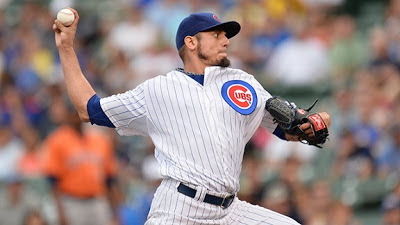 Chicago Cubs right-hander Matt Garza might end up being the best starting pitcher dealt at baseball’s July 31 trade deadline. After beginning the season on the disabled list, Garza has returned to form as a top-of-the-rotation difference-maker. In his past three starts, he’s gone at least seven innings and given up less than a run per game with 23 strikeouts. It’s clear his stuff is all the way back and his command and control is phenomenal. As such so is his trade value. The Cubs’ front office is concentrating on fixing its pitching in the long-term, and that’s what they’ll focus on in any trade talks for Garza. The preference will be acquiring young starting pitching which is either close to the big leagues or major league ready. In Fife and Magill, the Dodgers can offer the Cubs two young major league-ready starters, both of whom have had time in the majors this year. Fife’s 88-92 mph fastball highlights a solid four-pitch mix that includes a curveball, changeup and slider. His repertoire doesn’t wow scouts, but he should be a solid back-of-the-rotation starter in time. Magill’s fastball, however, is 92-95 mph and runs in on right-handed hitters. When his slider has optimum spin, it’s a wipeout pitch. His changeup needs more work to be effective. He has had trouble with control and command at the major league level, but in time he should settle down and improve. He also could become a back-of-the-rotation starter. Yikes, Fife AND Magill? Seems too rich for a guy just returned from a strained lateral muscle, who is 3-1 in 8 starts with a 3.83 ERA (ERA is almost spot-on his career average; Garza is 60-62 lifetime).